This rare find in the heart of California wine country allows you to build your dream home with unparalleled vineyard views. 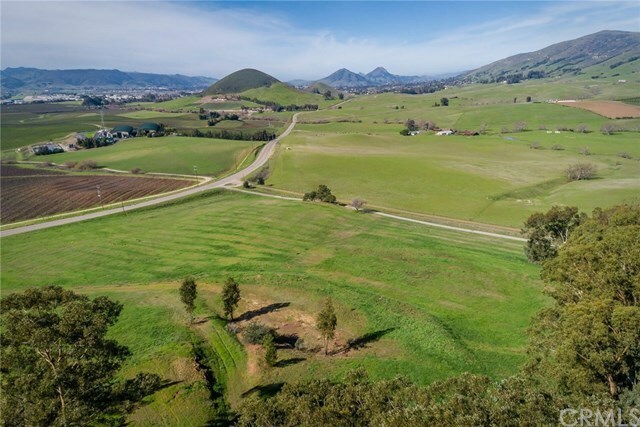 Enjoy privacy on nearly 10 acres while you soak in panoramic vistas for miles of the Central Coastâs Edna Valley vineyards and San Luis Obispoâs famed Seven Sisters peaks. Set within the backdrop of the Santa Lucia mountain range, these views will take your breath away. Less than 5 miles from the charming downtown San Luis Obispo and the regional airport, this location has acres of privacy with the convenience of being close to area dining, shopping, award-winning wineries, and less than 10 miles to picturesque Avila Beach and Pismo Beach. The half-acre level building site is set back from the street for privacy and perched atop a low hill for unobstructed views. Existing home plans available for review. The lot also features a private well with well test, two 5,000 gallon water storage tanks, 3 booster pumps, available electricity, and unpaved roads to both the building site and well/water storage. Approximately 7 acres of this stunning property could be utilized for crops or equestrian amenities. Keep your horses, plant your own vineyard, olive or avocado orchard. APN 044-052-034.